For over 30 years, PRH has created and commanded an industry-leading role in the marketing of high-quality farm, rural and lifestyle properties. For over thirty years Pat Rice & Hawkins has created and commanded an industry leading role in the marketing of high quality farm, rural and lifestyle properties in all the districts of Victoria and into southern New South Wales. Their guiding philosophies include the highest ethical standards, a positive proactive approach to property presentation and marketing and a desire that their vendors achieve a high satisfaction. Pat Rice & Hawkins is also affiliated with Ruralco, one of the world’s leading agriculture supply companies. volume of traffic to their website. (sold properties) across the board. Thinktank Social developed a full-funnel paid Facebook and Instagram advertising strategy for the purpose of achieving the end goal: conversions (property sales). A unique creative and targeting strategy was developed for each property. Thinktank Social ran A/B tests including split testing between different objectives, target audiences, placements and creatives to optimise for best results. Video content was specifically edited for social media advertising, including vertical video for specific placements. Various Custom and Lookalike Audiences were used, depending on where the audience was in the funnel. In the process of running paid Facebook and Instagram ads, Thinktank Social indirectly grew Pat Rice & Hawkins’ social media follower count significantly. 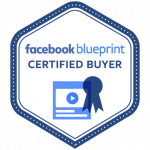 Over the past 18 months, we developed paid advertising campaigns on Facebook and Instagram for 32 different properties. 62.5% of which sold to a buyer that was initially served an ad on Facebook or Instagram. PRH’s social media followers grew by over 4000 since they started advertising on Facebook and Instagram 18 months ago. PRH now has a heavily engaged community of social media followers that engage even on organic content.